Start the New Year with a Clean Slate – 3 Tips to Make this Year the Best! 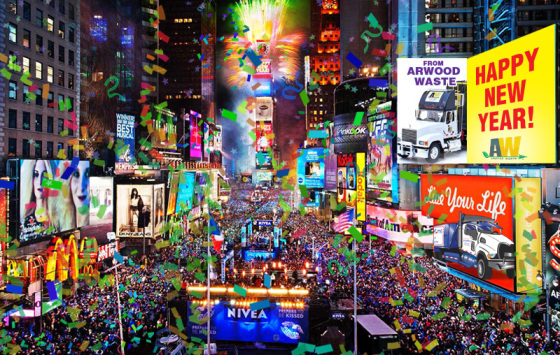 Your friends at Arwood Waste would like to wish you a Happy New Year! It’s amazing what kind of impact just a few small changes can make. Use these tips to start off strong and make this a prosperous, rewarding, and productive new year. Take a few minutes to walk through your home or business and ask yourself, “What can I get rid of here?” HELPFUL HINT: If it hasn’t been used in more than a year, it’s time to go. If you have a newer version, don’t keep the old one around ‘just in case’. Have a stack of half done projects? Make a plan to get them finished. Keeping them around only acts as a reminder of half-fulfilled efforts. A purge of your physical environment brings clarity and space for vision in the atmosphere of your home or business. #2 Share your abundance with others. When simplifying last year’s stacks of stuff, consider what might be donated, recycled or re-purposed. Remember, what you have no need for may be just the thing someone else has been searching high and low to find. Check out The Recycle Guide for places to drop off your re-purposed items or for more ideas on how to recycle. #3 Plan space for growth. You can’t add a new healthy habit, project, or vision to your plate without letting go of an old one. Set yourself up for success with your New Year’s resolutions. Start by evaluating what’s on your plate now. Decide what can be delegated, modified, or simply stopped. Then put that newly found time and energy into this year’s goals and habits. Arwood Waste and our partners specialize in helping you haul the junk out of life. Contact us Toll Free at (888) 413-5105 for help disposing of all that purging and cleaning of the old so you can welcome in the new. 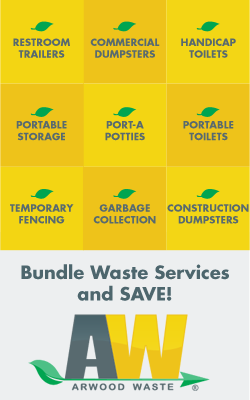 Ask about our Roll Off Dumpsters, Portable Toilets, Commercial Dumpsters, Storage Rentals and Demolition Services! The post Start the New Year with a Clean Slate – 3 Tips to Make this Year the Best! appeared first on AW Sites. New Year’s Reminder: Arwood Waste wants to celebrate all the holidays with you too! Arwood Waste wants to celebrate all the holidays with you too. This is why we created a Holiday Pick-up schedule so you can make arrangements and placement of your waste material while we spend time with our families. 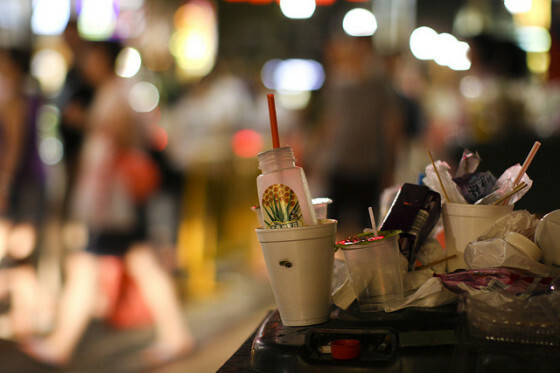 Businesses that currently receive collection may have different schedules and procedures than residential customers since business garbage is normally collected separately from residential garbage. Thanksgiving Day – No Service on the last Thursday of November. One day delay. Thursday collection day will be serviced on Friday. Christmas Day – No Service on December 25th. One day delay. Example; Wednesday collection day will be serviced on Thursday. Due to the one day postponement, the collection of containers is resumed as follows: If the holiday is on a Monday, then the Monday collection will occur on Tuesday, Tuesday collection will occur on Wednesday, and so on. If the holiday is on a Thursday, then the Thursday collection will occur on Friday and Friday collection will occur on Saturday for that week only. On all other holidays, normal collection of containers will occur. If a holiday falls on the weekend, then pickups will run on a normal schedule unless otherwise specified. Based in Jacksonville, FL, Arwood Waste is the nation’s most trusted privately-owned waste management provider. The professionals at Arwood Waste have more than 30 years’ experience providing services that include recycling, site clean-up, portable restrooms, compactors, demolition, dumpster rentals, portable storage and curbside pick-up. The post New Year’s Reminder: Arwood Waste wants to celebrate all the holidays with you too! appeared first on AW Sites. 1350 A.D. – The first garbage men got their jobs when England passed a law requiring front yards to be clean after nearly 25 million people died during an outbreak of the plague. These first garbage workers were called Rakers. 1388 A.D. – English Parliament banned the dumping of waste into ditches and public water ways. 1757 A.D. – Benjamin Franklin started the first street cleaning service. 1760 A.D. – The Industrial Revolution hits it’s stride and so did an increase in industrial waste production. 1785 A.D. – England passed the Public Health Act to guarantee public health and protection from sewage and industrial waste. 1920-1940’s A.D. – First modern garbage truck was developed. The Garwood Load Packer was the predecessor to almost all waste collection vehicles today. 1934 A.D. – The Supreme Court banned dumping waste into the oceans. 1937 A.D. – First Landfill opened in the United States in Fresno, California. 1940’s A.D. – The United States emerged from WWII as a world industrial super power and the average amount of waste produced increased by 67%. Good thing the waste management industry was ready to go into high gear. 1990’s A.D. – Present – Advances in technology led to new ways of managing waste including Reducing the need for, Reusing, and Recycling many items. These advances continue to produce cleaner cities and neighborhoods. Call your local waste management service to say Thanks! 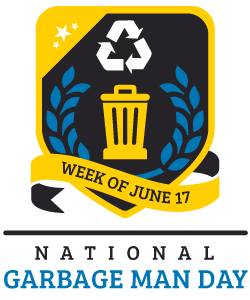 Remember to do something special for your sanitation workers during the week of June 17th! The post 10 Things You Never Knew About Your Garbage Man appeared first on Garbage Man Day. The post 10 Things You Never Knew About Your Garbage Man appeared first on AW Sites. Have a blessed Christmas as we celebrate our Savior’s birth! As we gather with family in joy this Christmas, our hearts are thankful. We are thankful for the privilege to live and work in a great nation. And we are thankful for you, our great customers who trust us every day with your business. It’s our honor to serve you in waste management and we thank you for supporting local, small businesses. 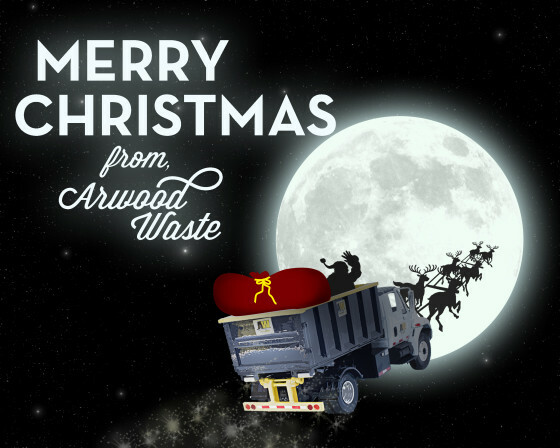 Arwood Waste and our partners wish you a very Merry Christmas! The post Have a blessed Christmas as we celebrate our Savior’s birth! appeared first on AW Sites. Still Time to Pre-Order and Save for Winter! This is a busy time of year filled with celebrations, family, joy, and trash. That’s right, trash! One of the results of so much “merry-making” at those holiday parties, parades, and gatherings is a lot of waste to clean up. Since this is usually a busy time of year for us too, we’re offering a 10% discount on all pre-ordered Portable Toilets and Roll Off Dumpster Rentals. All you have to do is call (888) 413-5105 and save 10% on your order. Arwood Waste and our partners are always happy to help with all your Roll Off Dumpster rental and Portable Toilet rental needs. The post Still Time to Pre-Order and Save for Winter! appeared first on AW Sites.